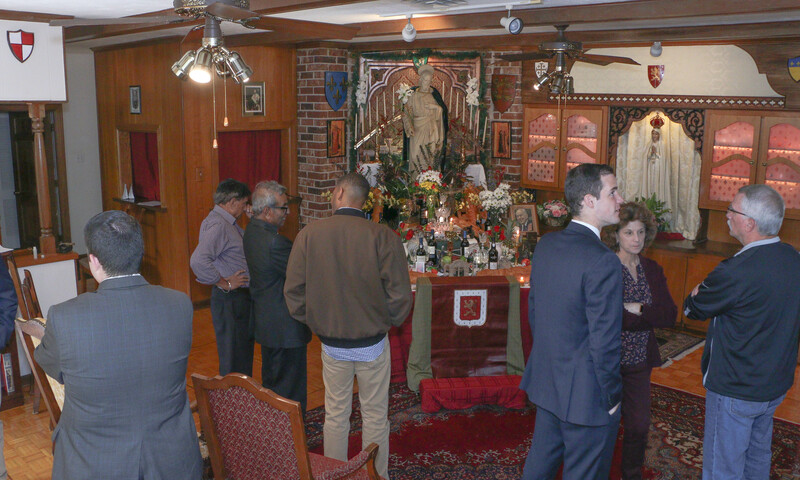 On Tuesday, March 19, members of TFP Louisiana hosted an inaugural Saint Joseph’s Altar at the TFP New Orleans center. 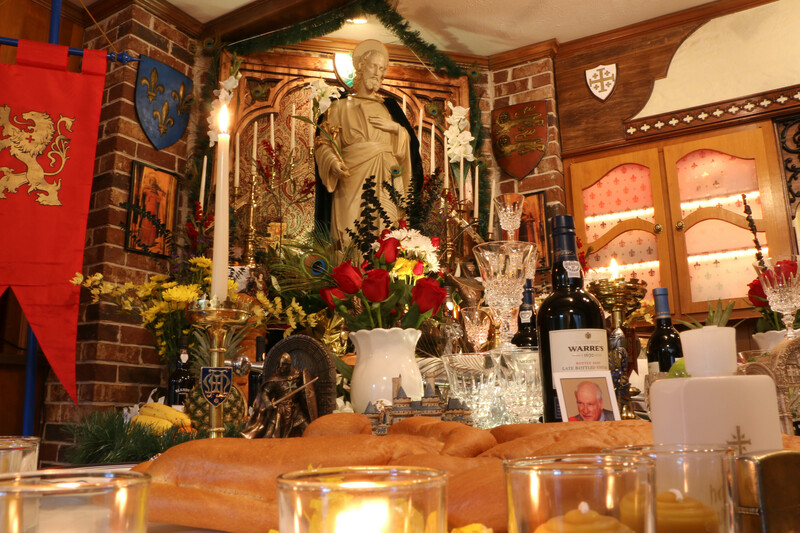 Friends from the New Orleans area and beyond came to honor the Head of the Holy Family. 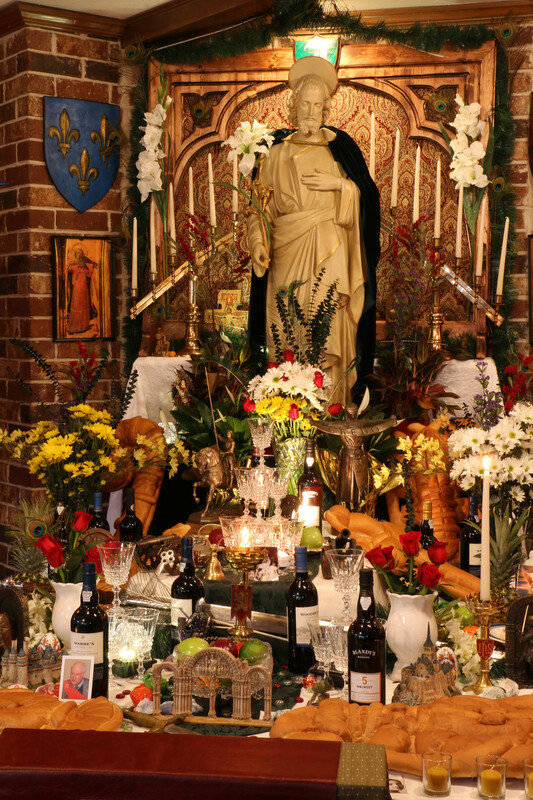 Neighbors eager to see the altar came and went throughout the day. Among the honored guests was Fr. Denzil Perera, who blessed the altar at noon. 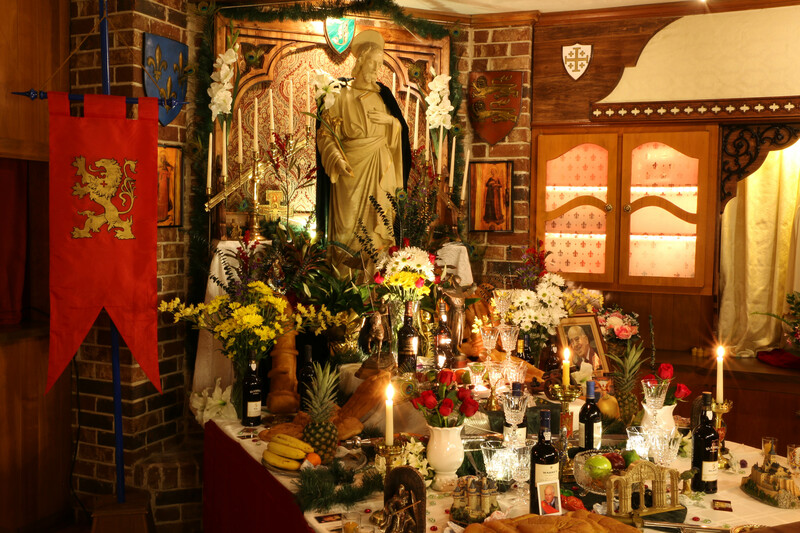 After some remarks honoring Saint Joseph, a traditional meal was served. The Most Holy Rosary and the Litany of Saint Joseph followed. Guests received copies of the latest Crusade Magazine. 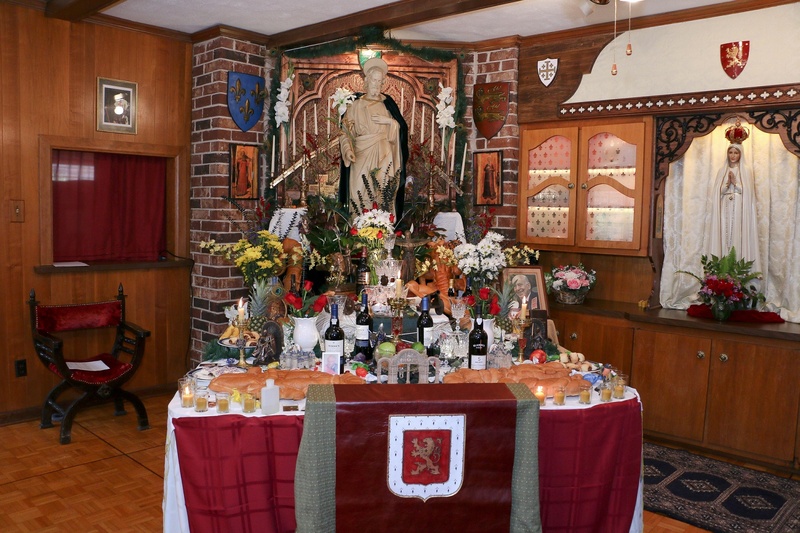 The cover story relates the history and tradition behind Saint Joseph’s Altars. Many benefactors contributed to the stunning display. 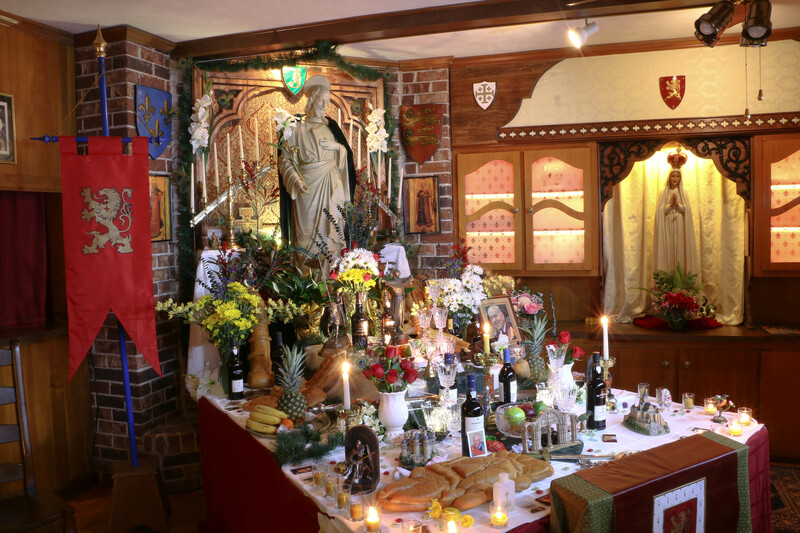 The fruits of the earth, bread baked in various shapes, and other foods symbolized the bounty of Saint Joseph to his clients. 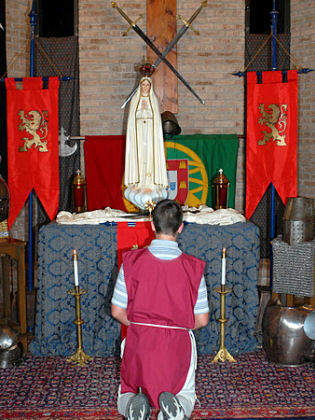 Shields, swords, castles, cannons, and knights showed that Saint Joseph is the Protector of the Church Militant. A place of honor was given for a picture of Prof. Plinio Corrêa de Oliveira. This man of Catholic faith and action inspired the founding of the TFPs throughout the world. 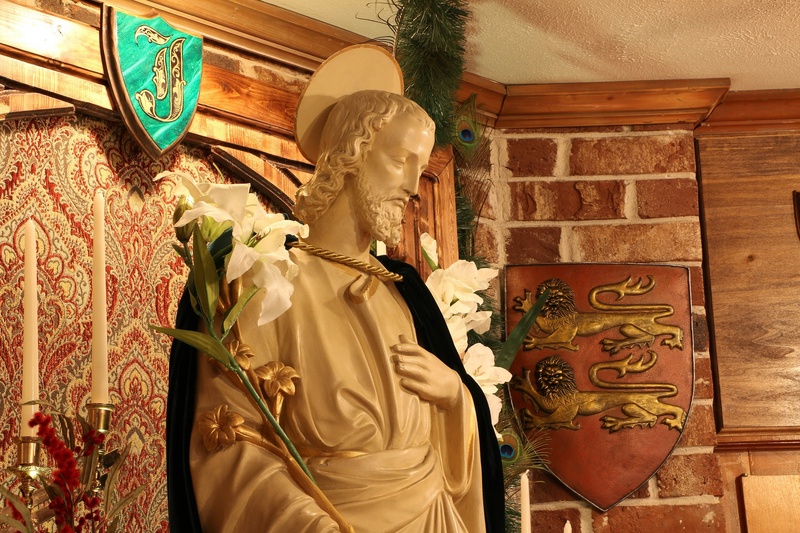 His great devotion to Saint Joseph marked him from a young age. 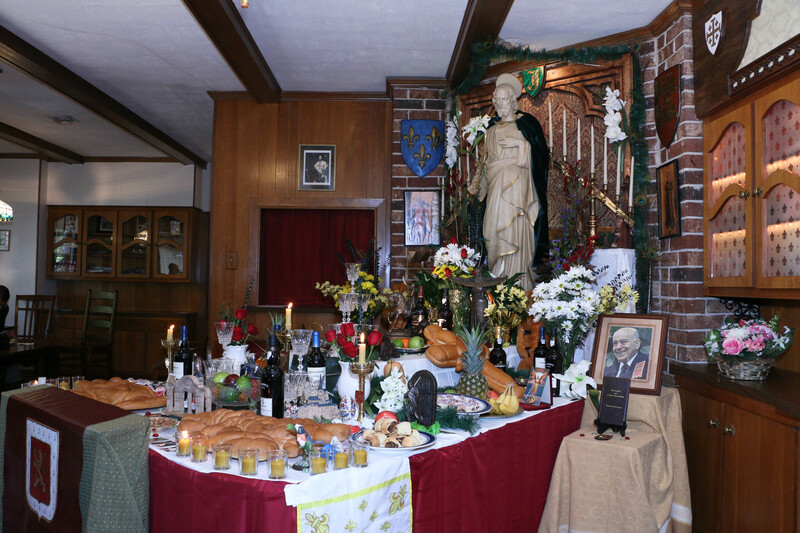 The altar was erected in thanksgiving to Saint Joseph. Thanks to his gracious favors, the TFP now has a center of prayer and action in the city of New Orleans. Prayers were offered especially for all benefactors of the TFP, and to implore graces for the battles ahead. 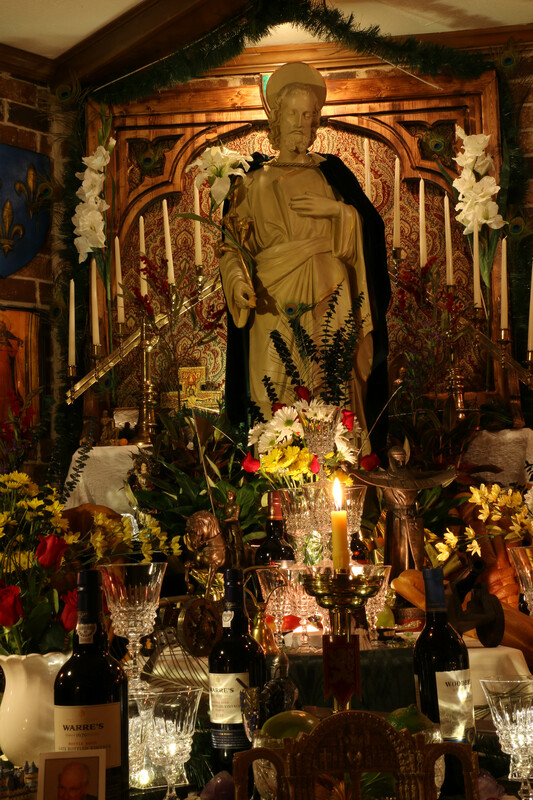 This altar was one of many erected on Saint Joseph’s Day throughout the New Orleans area. 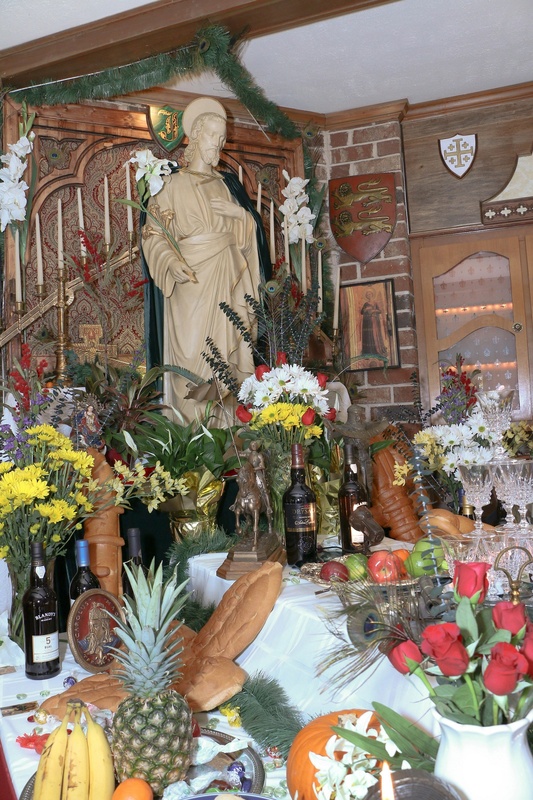 Contrasting with the culture of instant gratification, devotees of Saint Joseph spend months preparing the altars in his honor. 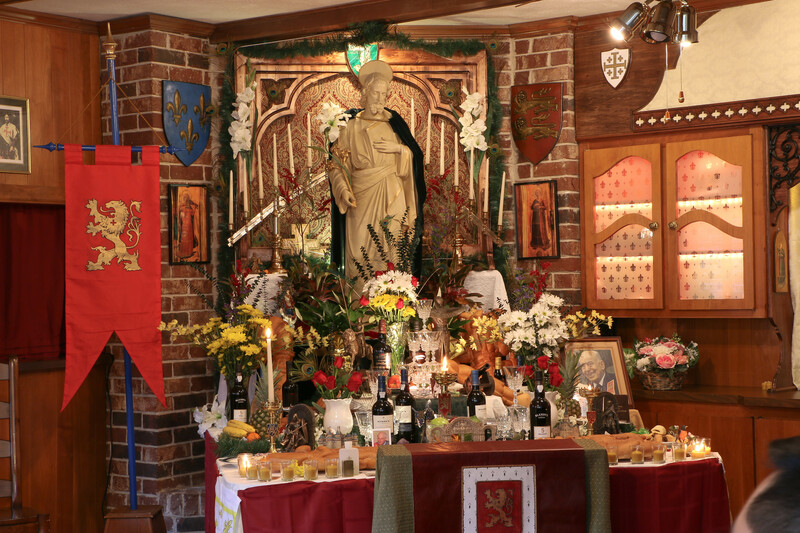 We trust he will send the graces needed to carry on this venerable Louisiana tradition for years to come.